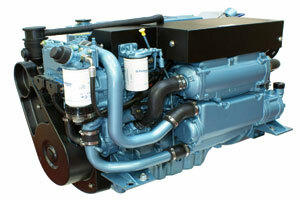 Parts & Power in the BVI is the Caribbean’s leading distributor of Perkins engines and Perkins generator parts. The Perkins name is synonymous with reliability; it’s common to find Perkins Caribbean engines over 40 years old still in operation! Then you may own a Perkins engine! Parts & Power in Tortola together with their unrivalled network of Caribbean dealers provide Perkins parts, service and engines for your equipment. With Hurricane Season upon us, there’s no better time to talk to us about servicing, overhauling or repowering. 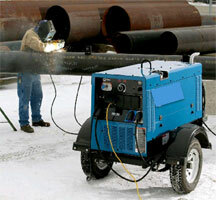 We also offer a line of Perkins-powered generators specifically designed and built for the Caribbean. The Perkins range of industrial engines provides for solutions to all diesel-powered applications. The industrial engine range can power anything from a small dumper truck to a 2MW generator. Parts & Power are the Caribbean distributor for JCB, whose range of construction machinery is predominantly powered by Perkins engines. Parts & Power also stock and supply generators from 8kW to 1000kW, all with Perkins engines. 60Hz Caribbean countries include: Anguilla, Antigua & Barbuda, British Virgin Islands, Cayman Islands, Cuba, Dominican Republic, Puerto Rico, St. Kitts & Nevis, Trinidad & Tobago, US Virgin Islands. Today Parts & Power are proud to provide a truly unique Caribbean diesel generator, with long service life, excellent service support that is customer friendly and cost effective, as well as Caribbean generator parts. So when considering investing in a Caribbean diesel generator, whether it is for Standby, Prime or off-the-grid Power, give our team a call to discuss your needs. We will find a competitive solution that will work for you and last a lifetime. Visit our products pages to view our range of industrial generators or our wide range of engines. Visit the Perkins Marine website for more information, or contact us for more information on the range and to find out our current stock list. You can read more details about the engines we stock by visiting our engine products page. Cruising World has a great article on the Perkins engine we supplied to Capn "Fatty" Goodlander! Parts & Power also hold a wide range of Perkins parts in stock. As the Caribbean distributor for Perkins, we can usually get parts to our customers across the region within 24 hours. We also offer highly competitive pricing on Perkins parts. Our dealer network across the Caribbean ensures that we can also provide local service to customers who require maintenance and repair work on their Perkins engines. Anyone who lives in the Caribbean and has ever owned or worked on a diesel engine equipped boat or machine knows Perkins Engines. Their legendary reliability and serviceability, combined with readily available spare parts at reasonable prices, has made them the engine of preference among discriminating boat and machine owners for years. 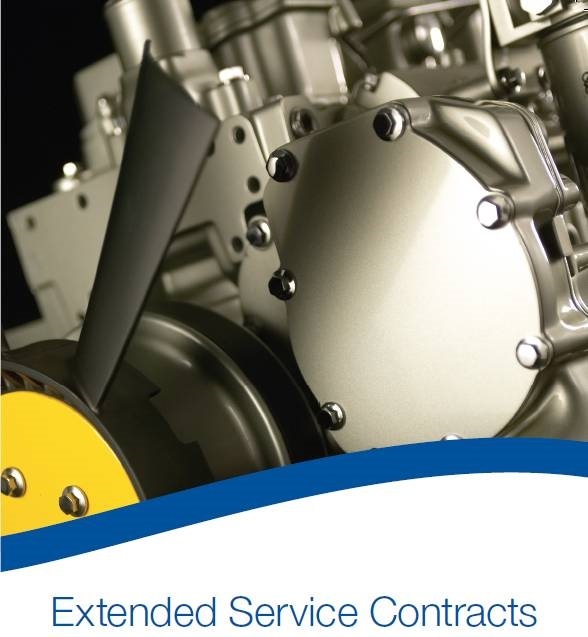 Parts & Power are therefore delighted to offer Extended Service Contracts (ESC) for Perkins engines owners and operators. Why not give yourself peace of mind from the unexpected and protect you and your engine from additional costs with a Perkins Extended Service Contract (ESC). An Extended Service Contract covers the cost of replacing defective engine parts, repair time and labour and the travel time beyond the standard warranty period. ESC’s are designed to help you minimise the downtime caused by breakdowns and stoppages. We offer you tailor made solutions – You choose the coverage that’s right for you from a range of options. You can register for an ESC at any point during your standard warranty period, and the ESC is fully transferable between users. Backed by an unrivaled network of Caribbean Servicing Dealers, with readily available and reasonably priced parts, Perkins Engines remain the best serviced Diesel Engine in the Caribbean. You can be assured that you have someone nearby who can keep your Perkins Engine running at top performance. If you are considering buying a new piece of equipment for the Caribbean with a diesel engine, beware! Whether you are buying a generator, backhoe loader, excavation equipment, lawnmower, welder, compressor, light tower or any of the myriad of equipment powered by diesel engines, you need to check what the emissions rating of that engine is. The higher the EPA rating is does not mean it is better. In fact, depending on where you are using it, it might be worse. The newest emission rating for diesel engines is Tier 4. It started with Tier 4 Interim in 2010 and has already progressed into Tier 4 Final in many applications. Tier 4 engines will only operate with Ultra Low Sulphur Diesel fuel. Anything else will damage the exhaust treatment devices installed on the engine. Why do you care if you are in a non-compliant, Lesser Regulated Country (LRC)? The reason is that there are sensors in the exhaust system to monitor the amount of NOX and Diesel Particulates (soot) in the exhaust. If those sensors detect unacceptable levels, they will continuously de-rate the engine until it will only idle. This will render your new piece of equipment useless. The repair for this is very expensive and is NOT covered by warranty. Warranty does not cover misapplication. This is a very unfortunate circumstance for the unsuspecting customer. We have seen several situations where customers purchased equipment without telling the vendor where it was going. Or, even when advising the vendor, the vendor did not know that the correct fuel was unavailable in the customer’s home country. We’ve never yet seen any vendor or manufacturer pay for the required repairs or modifications required to put that engine, and its equipment, back into service. So check the make of the engine and contact the engine manufacturer to see if the engine’s rating is acceptable for the fuel available in their country. While checking, it is also a good idea to see if there are any qualified dealers in your country to repair the engine in the machine you are buying. Many Tier 2 rated diesel engines, and all Tier 3 rated engines and above are fully electronic. The training and tooling requirements to be certified on these engines routinely cost $5,000 and can be considerably more. Then there is a licensing fee that needs to be paid every year that can run up to $1500 or more. With such a large investment, few Engineering companies bother to buy the Electronic Service Tooling necessary to repair the equipment. So you may have to fly someone in from a neighboring island (if you are lucky), or the US or the UK. It is common in such cases for the Servicing Company you need to ask for a $10,000 to $15,000 deposit before they will even get on a plane…even if the unit is under warranty! With the inevitability that you will someday need to Service that diesel engine, it is worth the time to find out, up front, what your costs will be. It also makes sense to “buy local”. There is a much better chance that, if you buy from your neighboring region, you can get it serviced. But don’t assume. Ask if the selling agency has ALL the equipment to service your diesel engine and the machine it is in. When selecting an engine for applications in the Caribbean, it is wise to select a Perkins engine. Why? There are Perkins dealers on most Caribbean islands. They might not have invested in the Electronic Service Tool, but all Caribbean dealers have access to the tool through Parts & Power, who are the Perkins Distributor for the Eastern Caribbean. Of equal or, possibly higher, importance is that Perkins parts are very reasonably priced and readily accessible. With Perkins Global Technical Support (GTS) located in the Midwest US and UK, there is nearly 24 hour access to service information and support. Better, local, support available 7 days/week backed by readily available, affordable, parts makes Perkins engines the best serviced engines in the Caribbean. So, when you buy new equipment, check which engine is in it. Always look for equipment with a quality Perkins engine in it. Perkins Engines…the Heart of Every Great Machine. Many of us now older generation cut our teeth on the 4.108, 4.236, 4.154 and 6.354. These became known as the “Range 4” engines. These engines have been around since the late 1960’s and early 70’s and many are still in operation. In the 1990’s emissions requirements forced all engine manufacturers to change the design of their engines. For Perkins, the Range 4 series became the 1000 series, meaning 1 liter displacement per cylinder. The 4.236 became the 1004, and the 6.354 became the 1006. Due to the popularity of the Range 4, the 1000 series were in most cases drop in replacement engines that were a little smaller, a lot quieter and cleaner. In the 2000’s emissions requirements, once again, forced a change in the Perkins engine design. The resulting engine became the 1100 series (1.1 liter per cylinder). The same size as the 1000 series, due to technological advances in metallurgy and engineering, these engines produced more horsepower, were quieter and cleaner than their predecessor. Tier 4 introduced in the 2010’s forced yet another change resulting in the 1200 series engines. These engines, with 1.2 liters per cylinder, are designed to meet all the emissions challenges for the foreseeable future. Although designed to meet all the complexities of Tier 4, these engines (as well as the 1000 and 1100 series that are still being manufactured) still come with lower Tier ratings. In some cases these ratings are as low as Tier 0. They are the same engine and the fully emissions compliant version, but without the sophisticated electronics. But they are as compact, quiet and clean as their more sophisticated brethren. Backed by an unrivaled network of Caribbean Servicing Dealers, with readily available and reasonably priced parts, Perkins Engines remain the best serviced Diesel Engine in the Caribbean. So whether you have a 4.236/ 6.354, or a 1204/1206 in the Caribbean, you can be assured that you have someone nearby who can keep your Perkins Engine running at top performance. One unique aspect of buying a genuine Perkins part for your engine from an authorised Perkins distributor is that every single part they supply carries a 12 month parts warranty from the date of purchase. This will cover the buyer for most expenses – labour1 as well as parts – incurred as a result of any subsequent failure of the part within the first year. Every genuine Perkins part carries a 12 month warranty. No other, unofficial supplier of replacement parts can even attempt to compete with this. That is because only Perkins has designed, built and tested the original component or part. At Perkins, we know the part you order will do the job you need. That is because we will have built it in line with the original specification. For some, the choice of a Perkins part will come down to weighing up the initial cost of a part against its lifetime value. In some cases, the initial up-front cost of a replacement part from a non-official supplier may appear appealing, however, that part will not carry a 12 month warranty, it will not have been built to our standards and it may well fail quickly. For the sake of a small initial saving the longer-term cost to you may be far greater. Related engine damage caused by the initial Perkins genuine purchased part failure. It is also an expression of Perkins belief in its range of parts and products. Perkins is absolutely confident that what the customer is buying will more than stand up to any demands or tests placed on it. Of course, there are understandable common sense exceptions and limits to the scope of the Perkins parts warranty. This means the warranty will not cover the purchaser (or a third party) for consequential costs such as the hire of replacement equipment, any costs associated with towing or overtime payments to staff who may have been caught up in the repair work. Nor will Perkins accept liability where parts have been altered, maintained, stored, or serviced in a manner not in accordance with published recommendations or good practice. However, as a total package, the part plus warranty combination has proved very popular with Perkins customers across the globe and with good reason. 1 Labour and travel is only covered where an authorised Perkins agent has undertaken the work. Perkins Engines can be found in numerous applications. The following lists provides some examples of many well-known Original Equipment Manufacturers and Distributors whose products incorporate Perkins machinery. 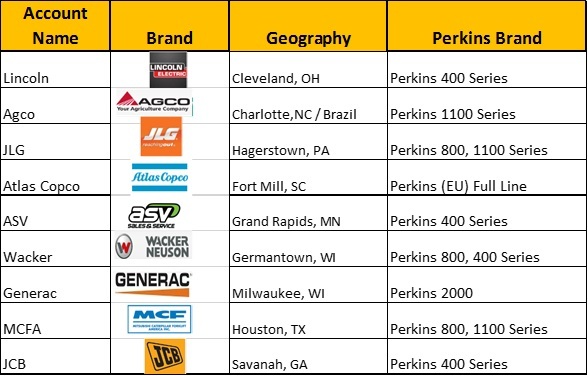 If you own a product from any of these Brands, you probably have a Perkins engine. 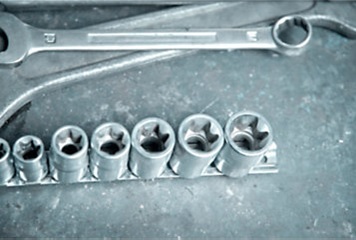 We’ll be pleased to assist you with your Perkins spare part and service requirements. Contact Parts & Power today for all your Perkins Power requirements! Parts & Power is the Appointed Perkins Distributor for the Caribbean.